That's not including my free valet of my Deliveroo scooter. Last edited by Chittychangchang; 09-11-2018 at 07:50 AM. ^ I will take 3. Can you stop off and buy some mozzarella? Only got mature Cheshire cheddar cheese in stock tonight. 1000baht for three with a good shine on my scooter and accessories. Don't knock it. I read that mozarella is traditionally used because it's less runny when melted and won't dribble off the side so much. Nothing to do with taste and everything to do with practicalities of eating. Personally I'd go with 50-50 mature and mild. 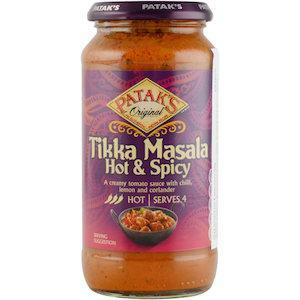 Another thing...I used to use Patak's tinned (or bottled) curry sauces as a topping sauce. Just drizzle a spiral of it over your prepared pizza before chucking under the heat. Patak's Korma for smoked chicken topped pizzas, Rogan Josh for a fungi, etc. It really goes well, just don't overdo it. Pataks is a Brit brand. Curry-augmented pizza. Do a normal pizza, just add a drizzle of curry sauce. Delishimo. I should add that it's not so good with simple basic pizzas like margharitta. Best for the loaded pizzas that have everything. I'm sure it would. Sounds nice. But I think loads of extra cheese and maybe sour cream...a sort of fusion nachos. Mexican pizza and Indian pizza! BTW what goes on an English pizza? How's that wine coming along chitty? 4 different Italian ham, 3 types of cheese, 3 tyes of chilli, extra onion and garlic. 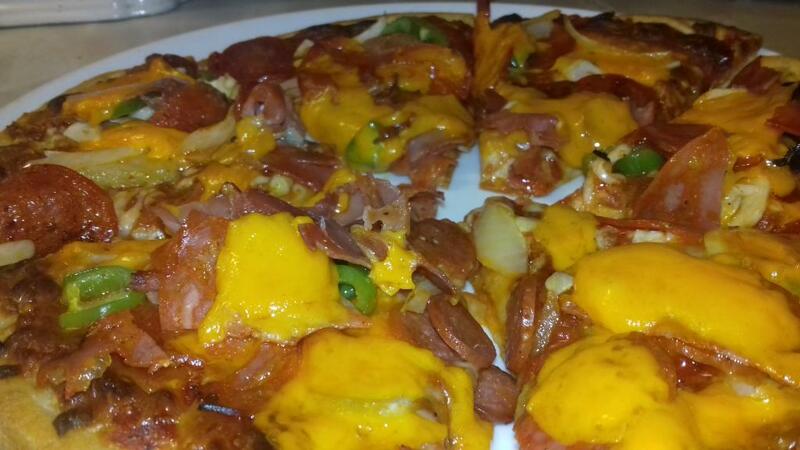 Chitty in reality arent you just dumping more toppings and cheese onto frozen supermarket pizzas? Try grating the cheese instead of dumping it on in lumps. Yeah, I'd go for grating, but in fairness, Italian chef Antonio Carluccio used to do the lump thing, so the method has got provenance. Very orange cheese. I hope it was not Kraft processed cheddar. Indeed, England's national dish. I think the question pertained to more traditional English fare. Perhaps a turnip and boiled cabbage with potatoes pizza? Or eel and pigeon with stilton if it was to be posh. There's definitely something wrong in that picture. For those who can't see the creation. I'd murder a slice right now though. Funnily enough, i've got a slice left.